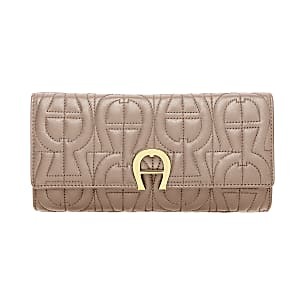 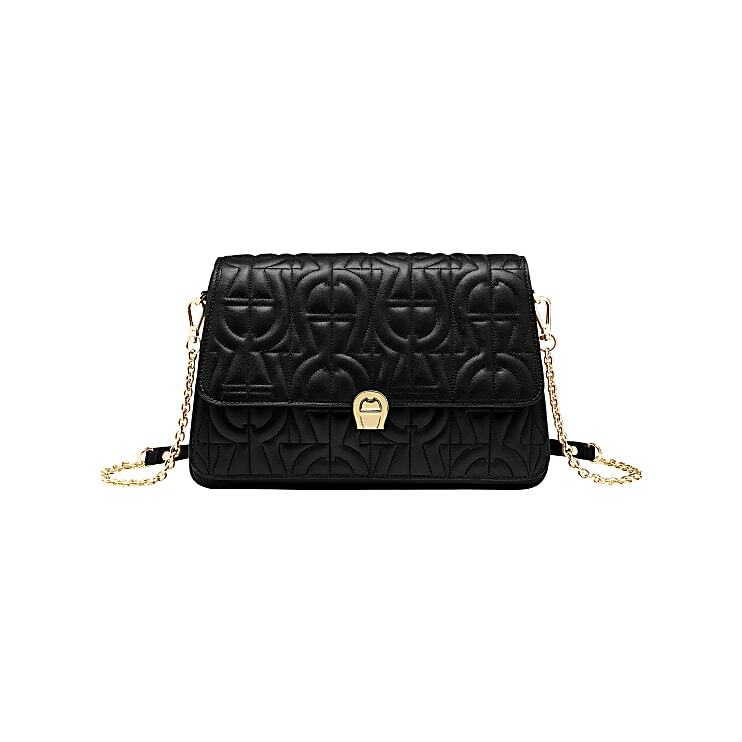 This season, the Genoveva evening bag appears for the first time in the AIGNER signature logo quilting on shiny leather. 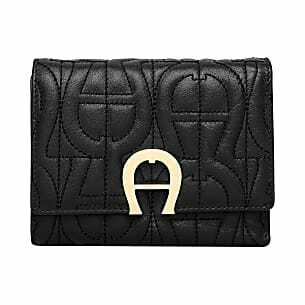 Large letters form the bulbous letter A in a 3D look, which gives the shoulder bag a special and together with the light gold coloured logo clasp also a glamorous character. 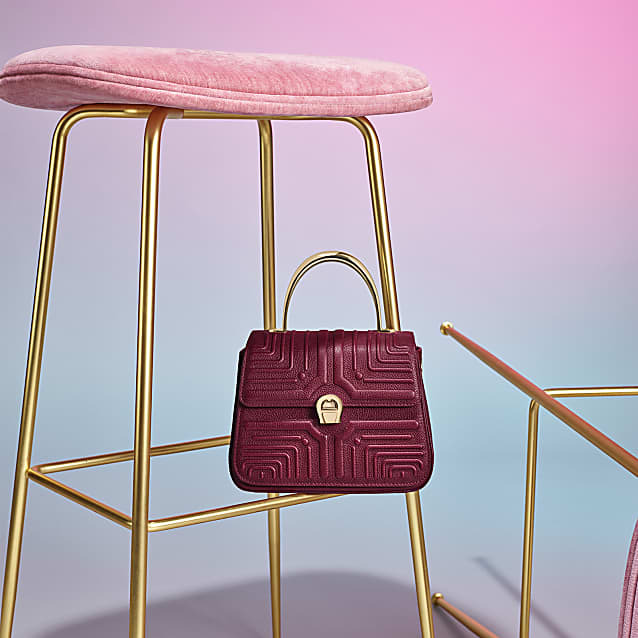 The chain shoulder strap can be snapped on and off at the sides using small carabiners or supplemented with another, chic strap.